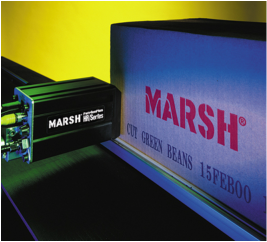 The Marsh Patrion Plus large character printing system is designed to meet your growing needs. The advanced printer technology in this system has rare print head flexibility that allows you to assemble a number of production line applications with the versatility to print dot matrix or fully formed, high-resolution characters from one system. The Unicorn product family is a condensed complete solution for single and dual line case coding. It is designed for customers who value quick set-up without technical involvement. One box contains everything needed to start printing right away. 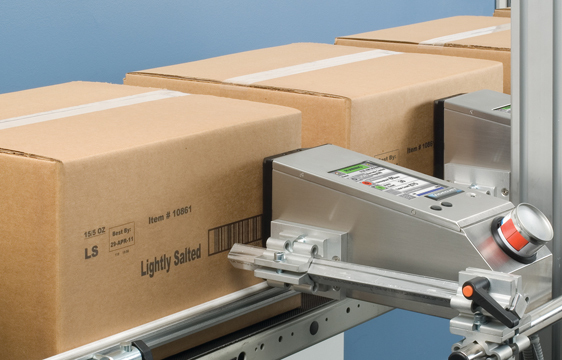 The Videojet 2300 Series is a family of three high resolution, large character ink jet printers that provide class-leading, consistent print quality on porous and secondary packaging materials. These systems are designed and manufactured to reliably print accurate, high quality, real time alphanumeric codes, bar codes and graphics.